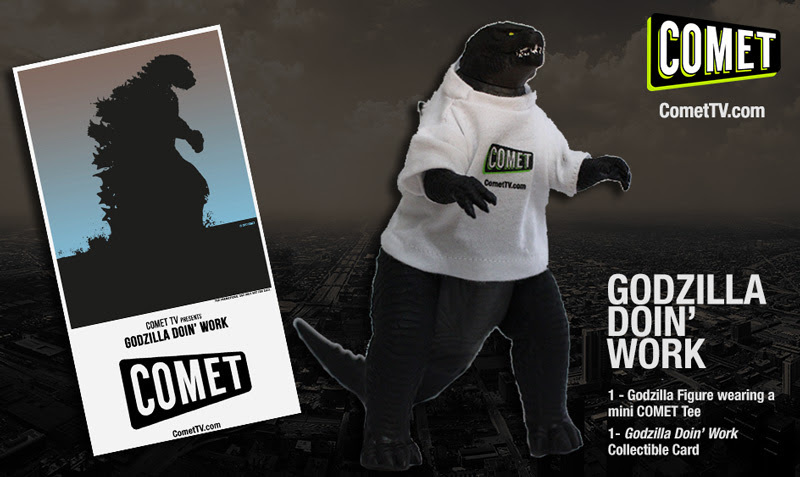 COMET TV Giveaway: Godzilla Doin' Work Prize Pack! Godzilla is taking over COMET TV! In September everyone’s favorite fire breathing, stomping monster is back and this time… It’s on COMET TV! clearly, Godzilla has been hitting the gym! 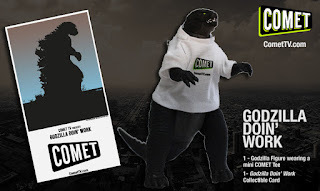 1 -Limited Edition Godzilla COMET TV Card: Perfect for catching up with Godzilla’s comings and goings on COMET TV! I'm not sure what the movie was called, but it had Baby Godzilla and he blew smoke rings! I loved the originals as a kid. Godzilla vs Mothra (sp) was great! I saw Godzilla vs. The Thing in the theaters when I was a kid so I've always had a soft spot for that one. Anything with Mothra in it! Our favorite is Space Godzilla! My favorite is Godzilla: Final Wars.